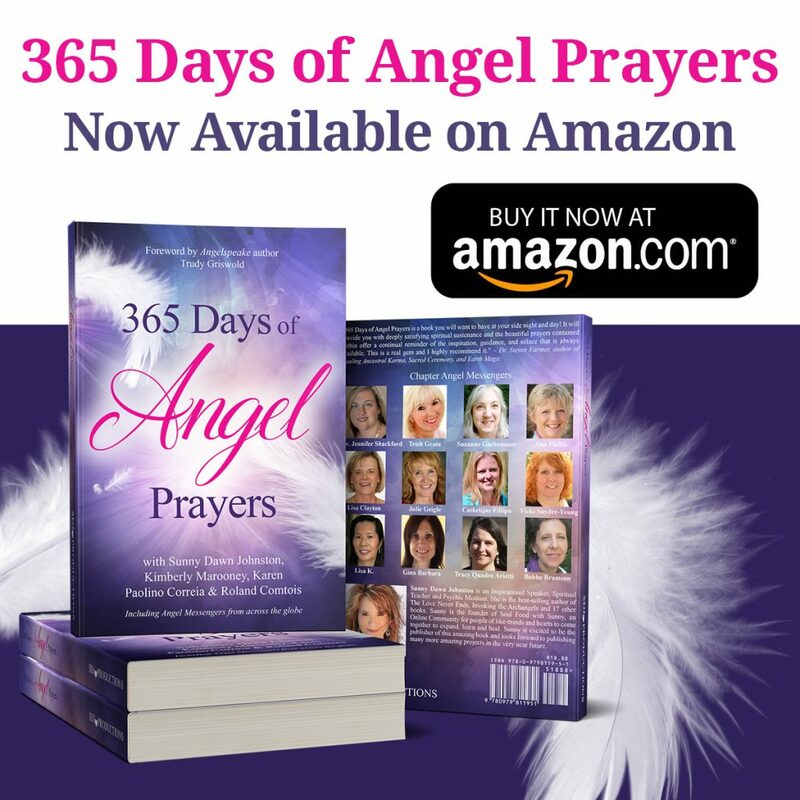 I am honored to be a co-author and chapter spokesperson for the month of JUNE in this amazing book “365 Days of Angel Prayers.” The 2nd edition just came out published by the renowned Sunny Dawn Johnston. 365 Days of Angel Prayers is a multi-author anthology of daily readings written to inspire and guide you to experience a rich and continuous communion with the angelic realm. Whether you choose to read that day’s entry or take a more spirit-led approach, these prayers, blessings, invocations, and essays will help you learn how to communicate with angels. And as you allow the words to wash over your mind and heart, receiving the healing inherent within them, you will begin to see that there is no one way to pray for divine blessing or assistance. Soon, you may even find your own unique words pouring out—embrace them. Remember, this book is a collaboration, one you are warmly invited to join. Soak in the deep peace, love, and joy of the angels. Through your daily connection, you will begin to shine their heavenly light and share their divine love with everyone you encounter.